Pannón Melankólikusok is a transnational European musical project that forms a unique and fascinating synthesis of Hungarian language vocals and highly original acoustic compositions underpinned by electronic elements. In their latest CD they set to music the poetry of the contemporary Hungarian poet Attila József, transforming the tender melancholy of his verse into intuitive yet elaborate and carefully considered sung poetry. They draw on a wide range of influences, from independent pop, rock and folk music to the classical art song as well as to polyphonic music of earlier centuries. 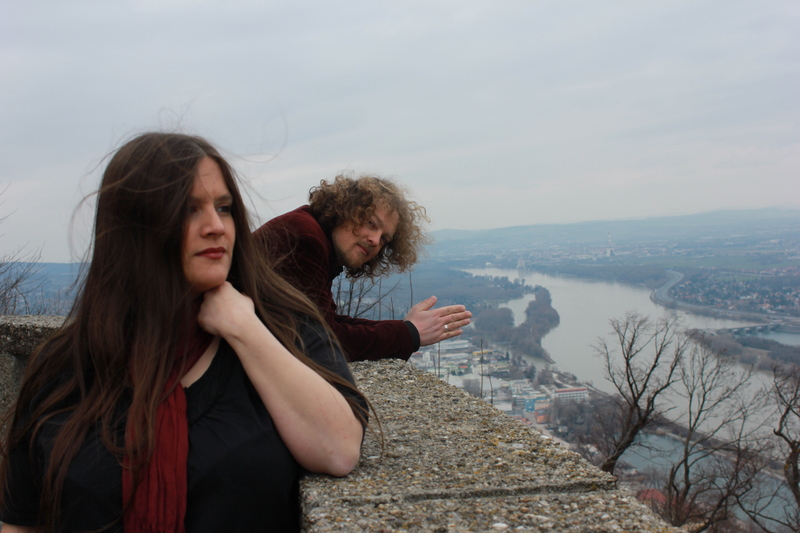 Pannón Melankólikusok are singer Christina Domene and multi-instrumentalist and sound engineer Robert Hofmann, based in Würzburg, Germany, and Vienna, Austria, respectively. They compose all their work collaboratively and their sound is characterised by delicate and precisely articulated vocals and wide-ranging instrumentation, including piano and acoustic guitar but also Mellotron, Fender Rhodes, Moog bass and other nostalgic keyboards. Their style could both be labelled avantgarde singer-songwriting or modern chamber music – and their music works both when performed live as well as in the audiophile’s living room. Pannón Melankólikusok do not strive to be mainstream and they challenge their listeners to listen closely. As such their music can be appreciated by a specialist audience of diverse musical genres, by lovers of poetry, as well as by all those open to exploring this unique and rich musical world.